The cast of “Leader of the Pack: The Ellie Greenwich Musical” rehearses a scene from the musical. 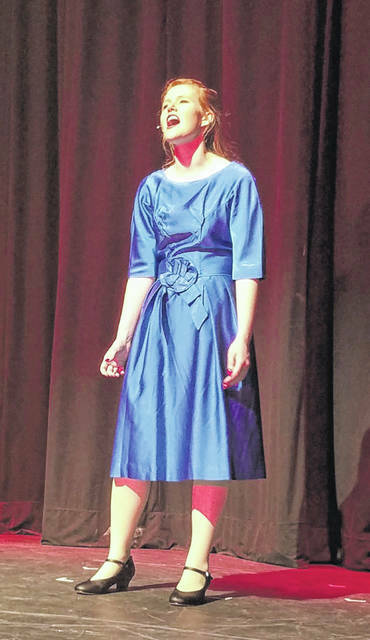 SIDNEY — Fairlawn High School will present “Leader of the Pack: The Ellie Greenwich Musical” this weekend. 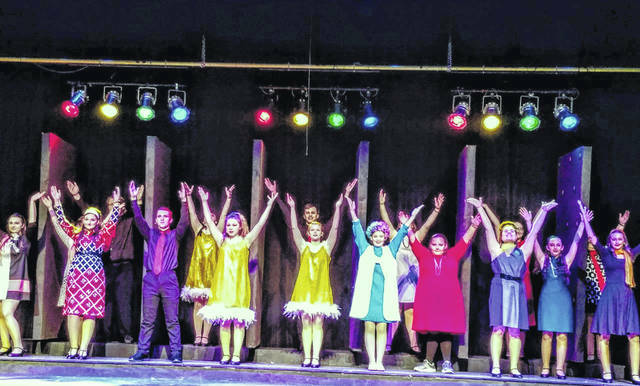 The musical features 18 students onstage and three students in tech crew. The show dates are Friday, April 12, at 7 p.m., Saturday, April 13, at 2 p.m., and Saturday, April 13, at 7 p.m. Student and senior citizen tickets are $5 while regular adult tickets are $7. The show also features the lighting designs of C & T Lighting and an orchestra directed by Franklin Streb. Members of the cast include Darlene Love portrayed by Caroline Scott; Annie Golden Meghan Bell; Ellie Greenwich (1960s/1980s), Cassie McKnight; Rosie/Chorus, Mya Elsass; Shelley Lola, Chambers; Mickey, Zoey Douglas; Jeff Barry, Christian Porath; Gus Sharkey, Devon North; Disc Jockey No. 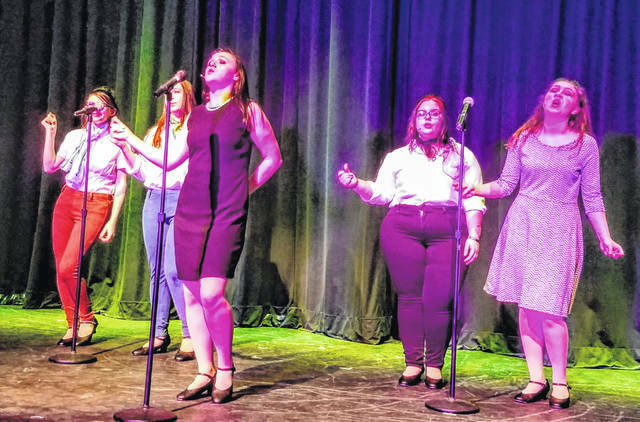 1/Joey, Josh Stekli; Keith/Chorus, Aaron Brautigam; Waitress/Chorus, Emily Weigandt; Lounge Singer (Pattie), Margaret Overbey; Featured Female Soloist, Darcy Maxson; Featured Female Soloist, Liliana Phillips; Female Chorus, Elizabeth Pestke;	Female Chorus, Jade Courtney; Female Chorus, Allie Suttles; Female Chorus, Ryleigh Werling; Tech Crew, Leiann Campbell; Tech Crew, Bryce Carr;and Tech Crew, Tai Champagne.